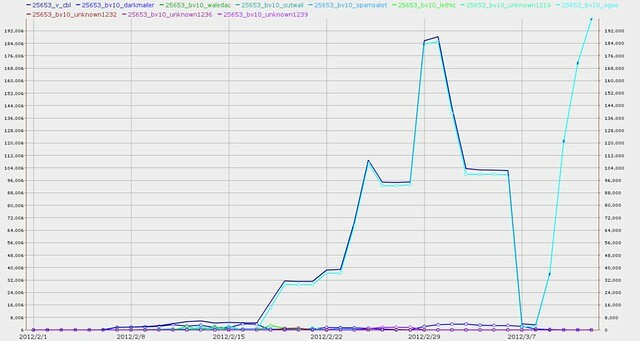 Perilocity: What other ASNs were affected by botnet Ogee in February 2012? All three of them are U.S. ASNs. The rankings shown above are for the U.S. top 250 ASNs. As you can see, two of them got a lot worse. The third, AS 3595 GNAXNET-AS, didn't place in the U.S. top 250 for February (but it looks like it will for March!). Let's look at each of those three ASNs individually. That's a pattern similar to those of AS 10439 CARINET and AS 32613 IWEB-AS. How high will it go, and for how long? 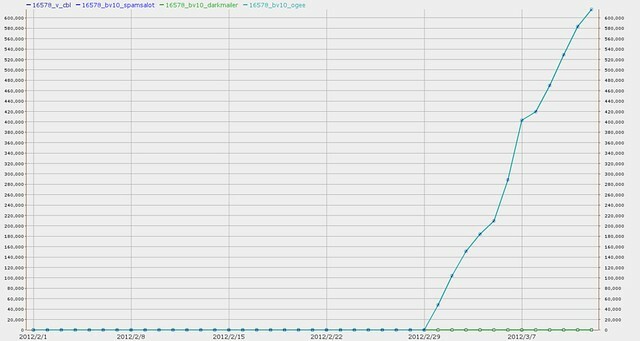 It hasn't peaked again yet, and it's already higher than its first peak. 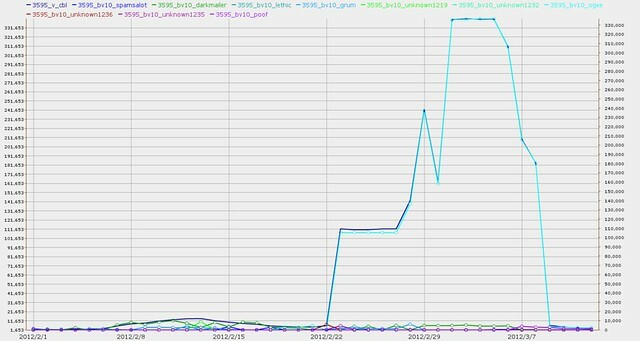 All three of the new ASNs in the top 10 ASNs for Ogee are ones that have highest spam peaks in March, because we selected the date axis for these graphs to run through from 1 February through 12 March (not just for February). All three of these ASNs have a continuing problem. 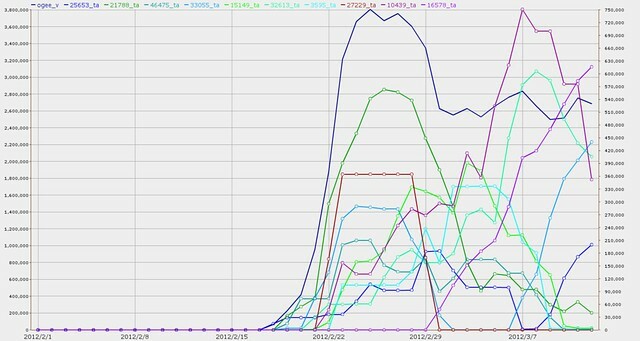 Early announcement of the Ogee infection detected through the SpamRankings.net reputational peer database could have helped them realize their problem and deal with it earlier. AS 25653 FORTRESSITX probably still could benefit by warning.